Join us Spring Barrel Weekend for our always relaxing and delicious flights and bites. Taste four wines expertly paired with delicious bites. You will also get the chance to taste a barrel sample of an upcoming release. Reservations are required for groups of 8 or more. Open Friday from 11-6, Saturday for club members by reservation only from 1-6 & Sunday from 11-6. New this year, we will be open by reservation only for Club Members on Saturday April 28th. 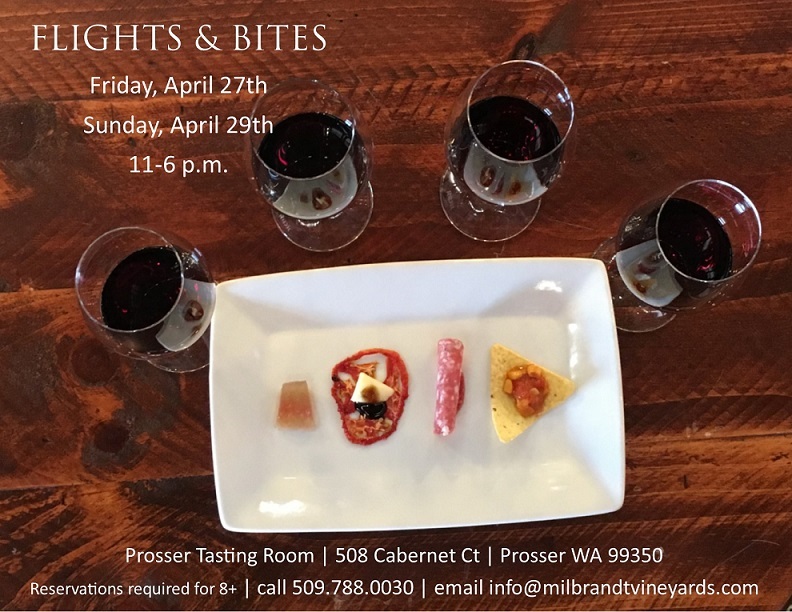 Make your reservation now by calling 509-788-0030 or emailing info@milbrandtvineyards.com.